Members of the Hawthorne Hotel Team had the opportunity to experience their first Salem Food Tour with Karen Scalia this week. The tour gives tourists and locals the chance to see, touch, taste, hear, and smell different parts of Salem that they have never experienced or learned about before. There is no better way for one to start their stay in Salem than with a Salem Food Tour. They can learn about Salem’s history (more than just the witch trials), while tasting what makes Salem such a popular food destination. Let’s dive into the tour! 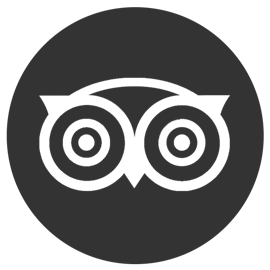 While walking from the Hawthorne Hotel to our first destination and throughout the rest of the tour, Karen talked about Salem’s spice trade history and mentioned many of the delicious restaurants that Salem Food Tours partners with. Salem Spice and The Branch Olive Oil Company now share a storefront on Salem’s Pickering Wharf! First, the Hawthorne Hotel Team tasted and learned about many different spices and salts. 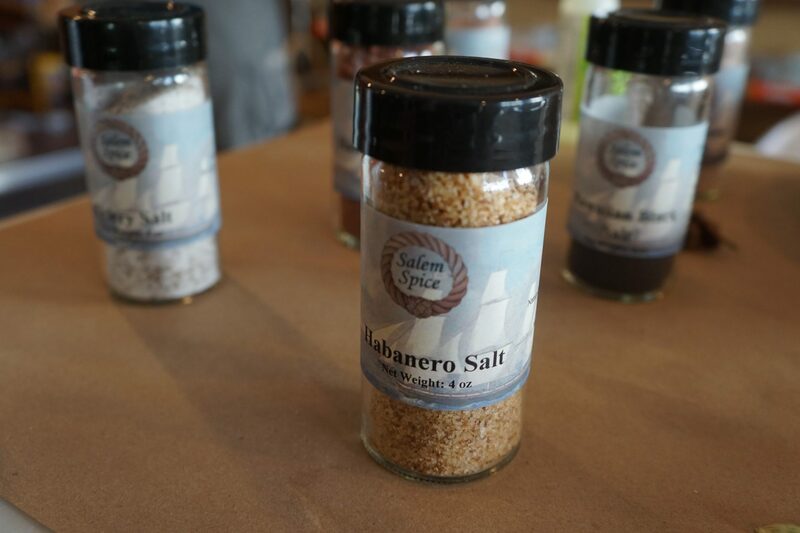 One of the favorites was the Salem Spice creation: the Chipotle Honey Blend! Next, the team tasted and learned about many different olive oils and balsamic vinegars. After the tastings the team was able to do some shopping around both shops! The next stop is perfect for those with a sweet tooth! While at Turtle Alley Chocolates II the team tasted the Blondie, which is penuche fudge enrobed in dark chocolate with white chocolate drizzle. 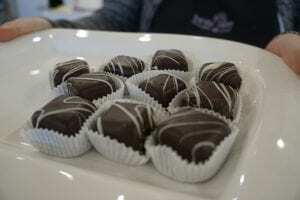 Turtle Alley’s homemade chocolates and candies were too irresistible for anyone to leave empty handed. A cheese lover’s dream come true. 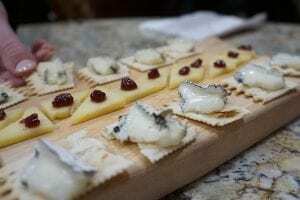 Step into The Cheese Shop of Salem and you can find any cheese imaginable along with a staff that knows everything there is to know about all of them. The Hawthorne Hotel Team tasted Dirt Lover Cheese on La Panzanella Pepper Crackers and then tasted Isle of Mull Cheddar with Doves & Figs Roaring 20s Raspberry Jam. The team then spent some time tasting cheeses in the display cases and purchasing their favorites. The final stop on the tour was Salem Wine Imports for a wine tasting. The team tasted two wines from South Africa, a Rooiberg Chenin Blanc and a Pinotage. This was the teams first experience trying wine from South Africa and everyone was pleasantly surprised with how great they both tasted. We cannot thank Karen from Salem Food Tours enough for this great experience. We look forward to recommending these tours to our guests! 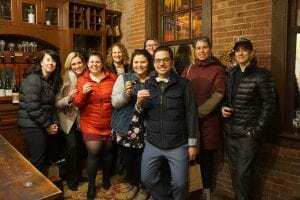 Visit the Salem Food Tours website for more information and to book your tour today! It was lovely to have you all on our Afternoon Stroll! Thank you for your kind feedback, so glad you all enjoyed!